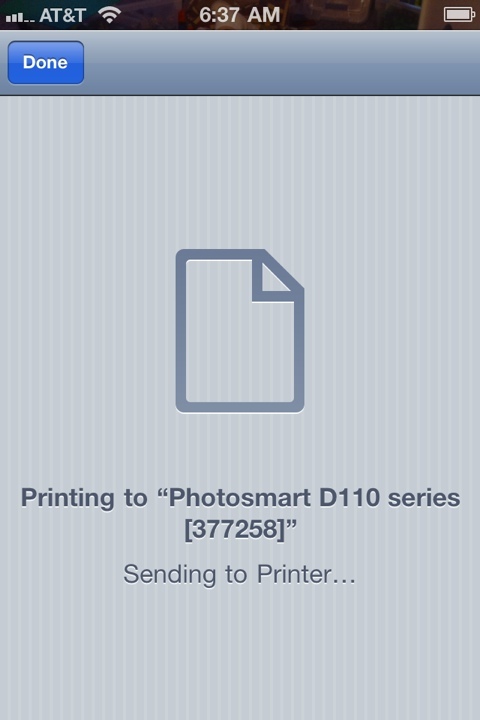 So here I am today with my wireless HP Photosmart printing out a photo from my iPhone. Egg on my face. Sorry Tom, you were right.